I've been wanting to remodel my bathroom for a while. What finally gave me the push was the fact that I had a leak from one of my faucets. My co-op building's plumber said that in order for him to fix the leak, he'd have to replace the shower body and in order to do that, I would have to get a contractor to open the wall. I thought, "Okay, if I have to get a contractor to open the wall, then I might as well do more than just get the leak fixed. I might as well address some things." 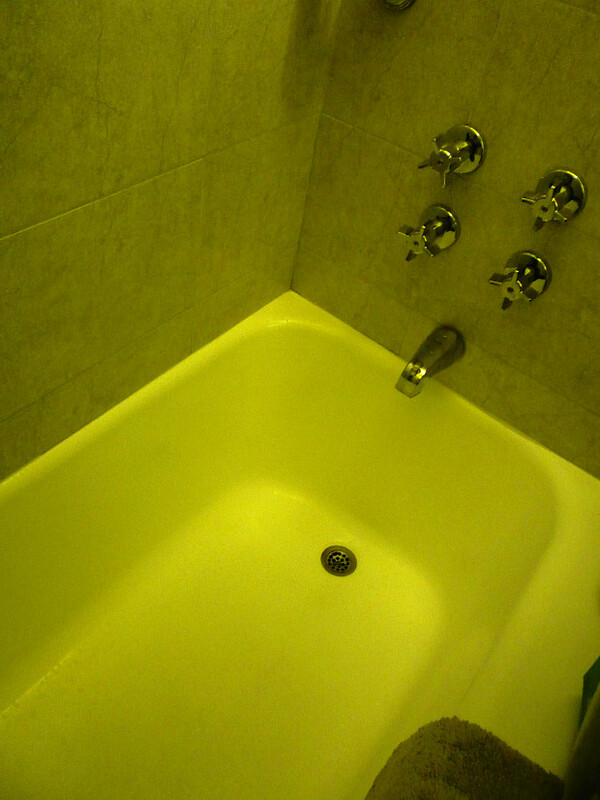 My bathroom is old, the tub needed revarnishing, the grout needed regrouting, and the silicone between the tub and the tiles was old and moldy. I'd tried every remedy in the book but it just basically needed to be stripped away and replaced. So I thought, "Okay, this is a sign that I finally should do something about this and actually do a renovation." I discovered a website that allowed me to put my information out there so contractors could get in touch with me and come give me a free estimate. The next thing I knew, 2 of them, including the one that I ended up using, got in touch and came by. The first contactor, Kaci, just gave me a good feeling. He steered me in the right direction by asking, "Do you want to do this? Do you want to do that?" and offered to take me shopping for tiles in Bensonhurst where it wouldn't cost an arm and a leg as it would here in Manhattan. The other contractor made fewer suggestions and also he was going on vacation around Christmastime. Having decided to do the renovation, I just wanted to go ahead. So I thought, "You know what? I don't know what the other guy is going to come back with in the way of estimates but I think I'm going with the first guy" ... and so that's what happened. I liked the contractor's input because he was steering me toward the bigger tile. I was stuck with the idea of just getting a nicer version of the tiles I had but he said, "Why don't you go with these? They're more modern; they'll make your bathroom look bigger." I said, "But I have a tiny bathroom. Won't it make it look smaller?" He answered, "No, just the opposite." And he was totally right. The project took 3 weeks. I managed with great difficulty without a bathroom. It pays to have a gym membership -- I'd shower at the gym. My contractor did offer to cover the tub every night with plastic sheeting so that I could shower but it just seemed to me that it was going to slow down the renovation. I thought, "I live 2 blocks from the gym. It's easier just to shower there and get this done more quickly." The worst day of all was when he replaced the floor tiles because he placed my bathroom off limits even to use the toilet. That was not a whole lot of fun! He explained, though, that if I wanted my tiles to be straight, even if I tried to tread very gently and step in the middle while they were setting, I could still ruin his work. He made a compelling case so once again, the gym was my salvation. In a way I'm happy that I didn't know beforehand what I know now. The idea of my bathroom being pretty much a dead zone for 3 weeks might have been a deterrent or I might have contented myself to just have the ugly plain white tiles regrouted rather than replace them with beautiful brand new tiles. That would have been stupid. though. As the managing agent of my co-op pointed out, "You're doing the right thing because it's going to increase the resale value of your apartment if you ever want to sell it. 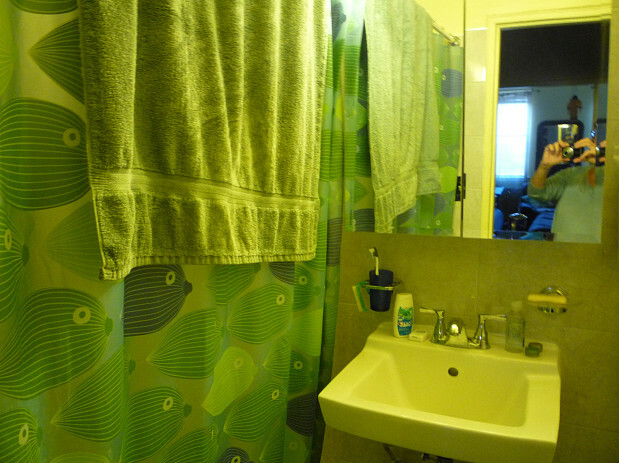 One of the first things that people look at is the bathroom." I would advise other homeowners to do pretty much what I did. In fact my upstairs neighbor saw the contractor and said, "OMG, can you give me the website you went to to find your contractor?" She's thinking of doing the same thing that I did. I'd recommend the one-stop shopping of going on the website and getting contractors to come give a free estimate. Otherwise, how do you pick a good contractor? When I saw the contractors that were being reached out to and I went on their websites, all of them were obviously reputable and prescreened as opposed to you have no idea what you're getting yourself into. This was important also because I had to get permission from the co-op to do all this and submit the certificate for the insurance from the contractor. The bathroom looks much more modern and attractive. In retrospect, the hassle of the renovation was totally worth it. I love walking into my bathroom! Beautiful Kitchen Remodel on a Budget by Joe R.
I Built a Concrete Retaining Wall as a Defense Against El Nino by Ken R.